UnitedEx is ready to meet your needs. Find detailed information on how to create a shipping label, track your shipment status, and more. Use My UnitedEx to view activities and manage your UnitedEx account. profile and Import existing addresses. View, print and pay your bill online. 3. Start shipping with UnitedEx. Ship | Get rates | Order supplies | Track Sign up for our e-newsletter to stay connected to UnitedEx. My UnitedEx is your point of entry for time-saving offerings. You can ship, track, and manage your account all in one place. If you're a frequent shipper, you can save time by establishing your own UnitedEx Account for billing your shipping charges and services. 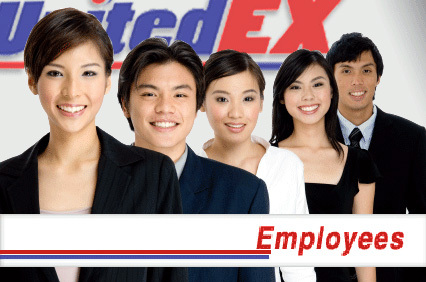 UnitedEx Internet Shipping is the most convenient shipping solution on the Web. You can compare service options and create shipping labels using our online shipping process. Track one shipment or 25 shipments at Shipuea.com. Or, let us do the work for you. We'll e-mail you with updates as your shipment moves through our network.